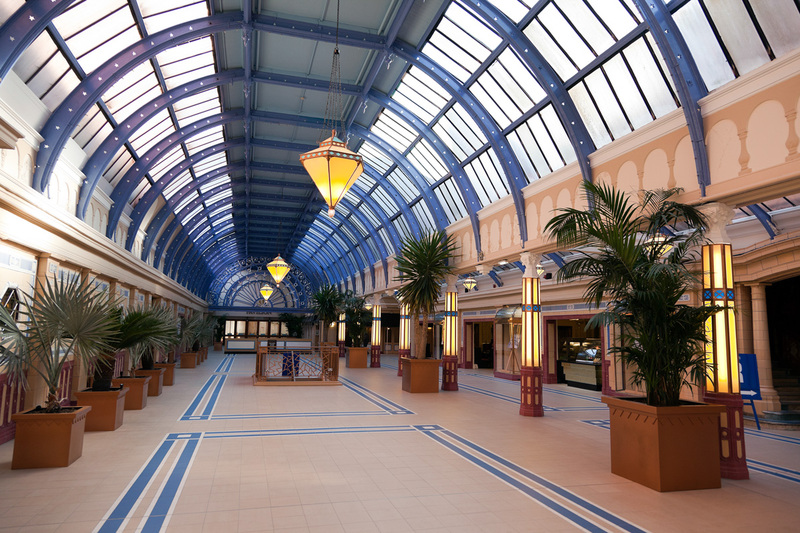 In November 2010 work began on restoring Blackpool’s Grade-II listed Winter Gardens back to it’s original Art Deco glory. Blackpool Council appointed architects Donald Insall Associates to begin phase one of a restoration process that will take a number of years to complete. The Floral Hall and iconic dome was completed earlier this month, so I thought I’d head down with my camera to take a look. The Winter Gardens is a historical important and iconic building that attracts a huge number of tourists to the resort every year. I’ve attended conferences, gigs and shows in this fantastic venue and I’ve always enjoyed photographing it’s intricate architectural detail and warm atmosphere. If you like what you see please support my photography and tell you friends about it. You’ll find share buttons below and I’d be delighted if you could take a minute to share this blog post. This entry was posted in Blackpool and tagged Architecture, Art Deco, Regeneration, Winter Gardens.